2016 is a special year for the Swiss Center Shanghai. 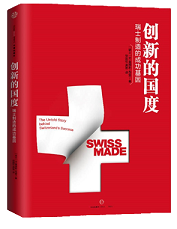 Thanks to the trust our members and partners bestowed to us, we have been able to bring the Swiss Center Shanghai to a new era: The Swiss Centers China which is represented, today, by four locations in Shanghai and Tianjin at the service of the Swiss industry. SKU Advanced Management Program is a top executive education program targeted at senior managers of Swiss companies. Each year, the program has a Shanghai module lasting 5 days.